Save time, money and effort on hosting work. Dedicate yourself to business with all-in-one hosting solution. Looking for pros to take care of your servers? We have a complete solution for your business. Tired of thinking about hosting? We'll take care of it. Free migration. Your business deserves the best hosting. 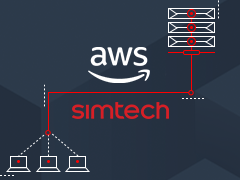 Migrate to AWS Cloud hosting with a dedicated support team. Deploy to the most trusted hosting with personal support team. Deploy and forget - we'll take care the rest. Free yourself for more important things with AWS Cloud Hosting. 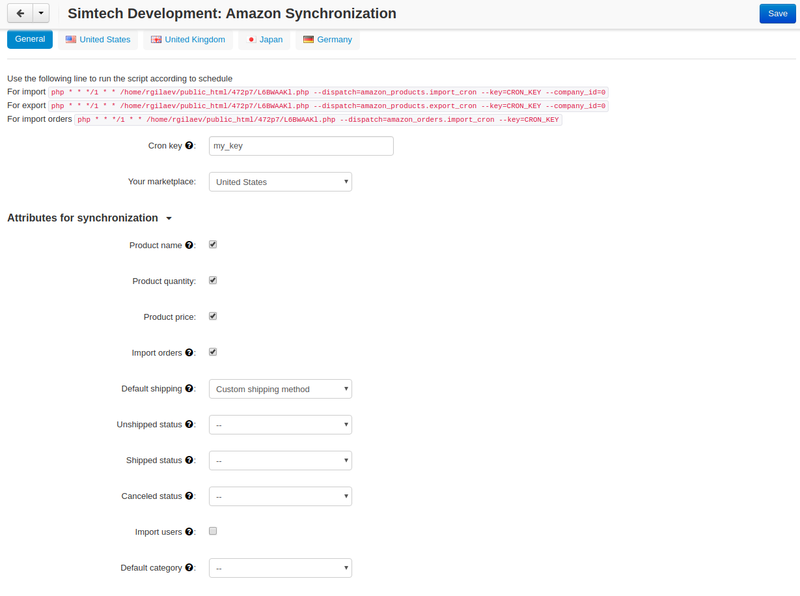 The Amazon Synchronization add-on lets you synchronize products and orders in your CS-Cart store and Amazon.com in minutes. Product names, in-stock quantity and prices, as well as order information, users will be synchronized. The Available at Amazon button will appear on the product page. If you do not have an Amazon seller account yet, sign up for it. Check out the pricing. The add-on comes with installation and configuration of the default settings of the add-on. We can also provide you with the custom development service on a paid basis if any modification is required. Contact us for a free quote for the Amazon integration service. 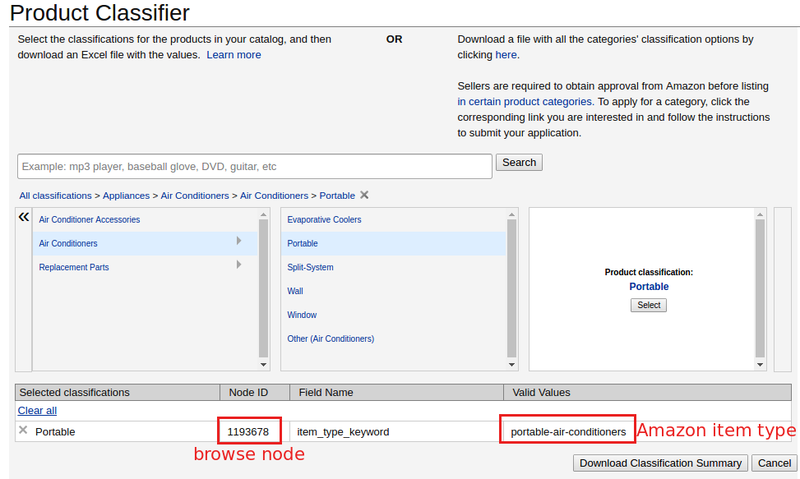 The add-on synchronizes CS-Cart product-related data with Amazon.com: product name, product quantity, and product price. It does not import or export products. Automatic products synchronization between CS-Cart and Amazon.com. Ability to import Amazon orders. detailed reports on the previously synchronized products. Availability for: USA, UK, Germany, and Japan. Quick editing of SKU and UPC/EAN barcodes via export. Synchronization of product names, prices, and inventory. Multiple values support (ASIN, EAN, UPC, ISBN). Amazon icon on synchronized products at the storefront. The add-on is compatible with CS-Cart and Multi-Vendor 4.4.1 and above. Don’t know what archive to download to install the add-on? Read here. The add-on is developed and published by Simtech Development Ltd., a CS-Cart developer. You are guaranteed the ability to buy quality add-ons to support future versions. If you need help, please contact us via our help desk system. Install the Amazon Synchronization add-on on the add-ons list page (Add-ons → Manage add-ons). Click the + button in the top right corner, select an archive and click Upload & install. You can now find the installed add-on in the list of installed add-ons, just make sure it is set to Active. Click on the add-on to open its settings. In the General tab, you will see commands that you can use to run a cron script according to a schedule. These commands will sync all the products and automatically import Amazon orders. path/to/cart is the path to your website and CRON_KEY is the access key specified in the Cron key field below. A cron script should be set up on your server. If you have any difficulties with it, please contact your server administrator or contact us for help. Cron key—Specify a cron key and replace CRON_KEY from the cron line with it. Your marketplace—Select the region of your business. Available options are: UK, USA, Germany, Japan. Select the attibutes you want to synchronize: product name, quantity, price. 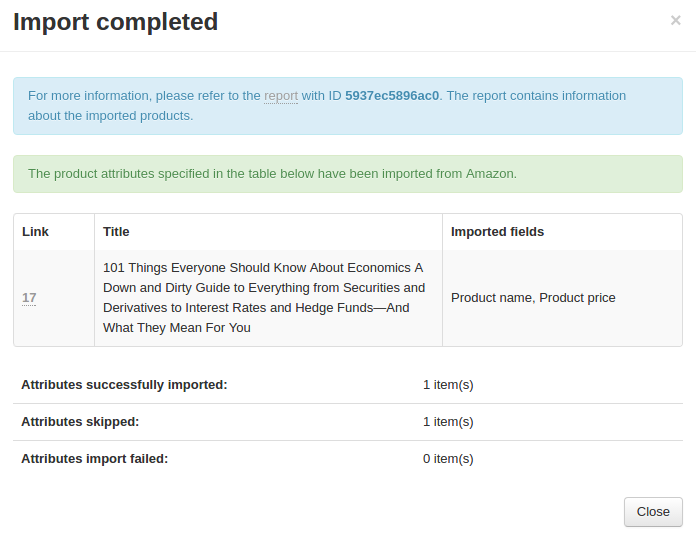 Select the Import orders checkbox if you want to import orders from the Amazon store. If you want to skip order import, move to step 6. The orders are imported via the LIstOrders API. Fore more details, refer to: ListOrders API. Default shipping—Select the shipping method that will be used by default for orders imported from Amazon. 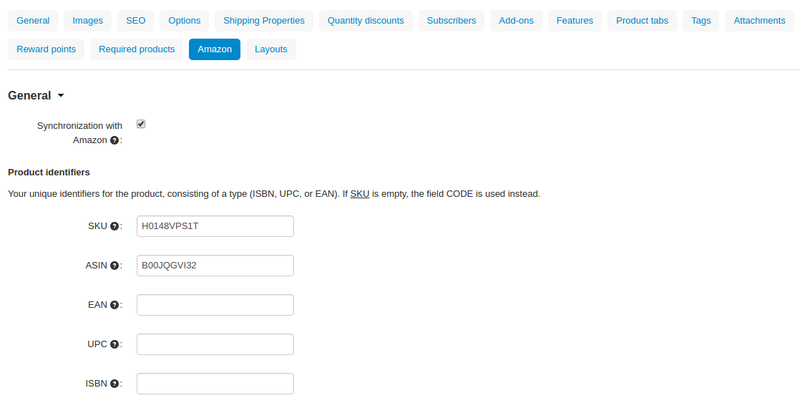 Import users—Select the checkbox if you want to import users from Amazon to CS-Cart store. The users will be matched by email address. The user first name, shipping address and billing address will be imported. If you clear the checkbox, the user will be displayed as a guest in the order. Default category—Select the category that should be assigned to products by default if the order contains products from Amazon that are unavailable in your CS-Cart store. Switch to the tab that corresponds to the region of your business. 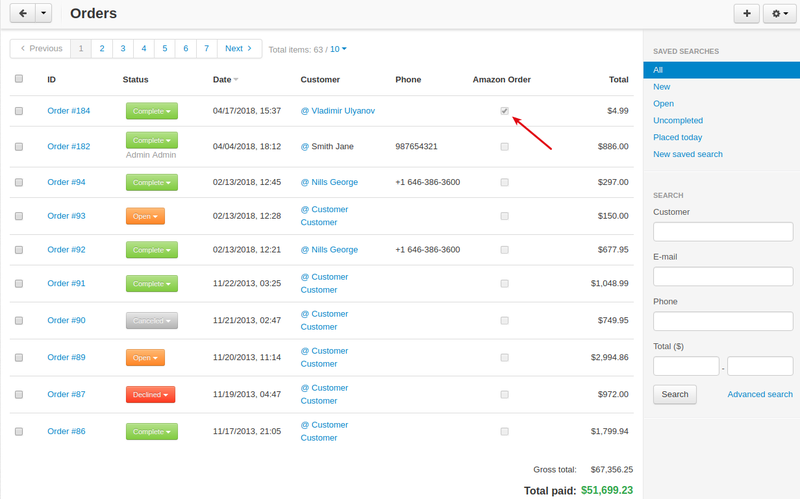 Here, select the Active box and enter the account details from your Amazon Merchant Account. Once you specify all the account details, click Check connectivity to make sure everything’s correct. One more thing you will need to do to make order import go smoothly is to match payment methods in your Amazon and CS-Cart stores. To do so, go to Administration > Payment methods. 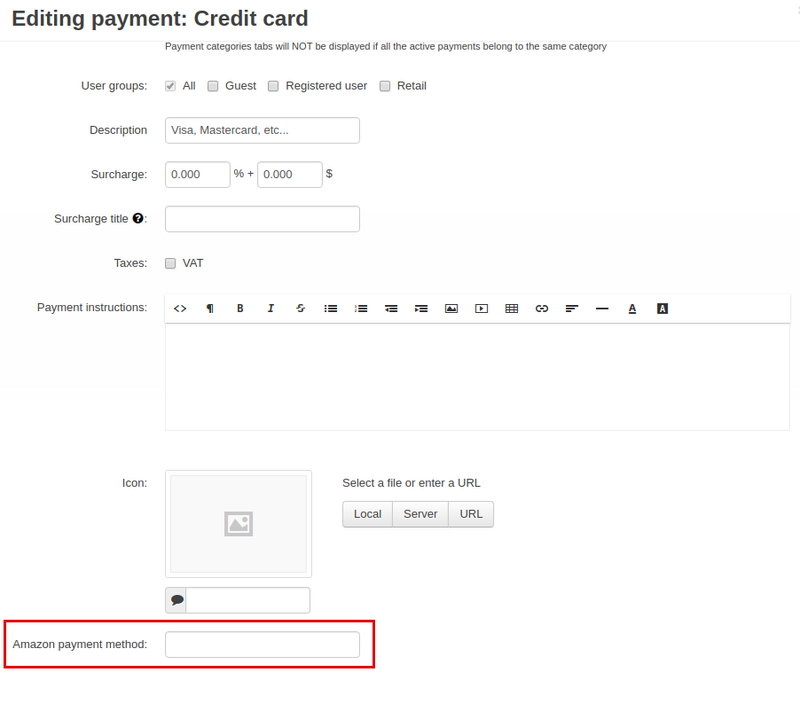 Open a payment method and define the Amazon payment method. Click Save. If you do not match payment methods, orders will NOT be imported. Go to Products > Products. Switch to the Amazon tab. You will see available settings for importing/exporting a product, which are divided into General and Advanced. Synchronization with Amazon—The checkbox is selected for the products synchronized with Amazon. SKU—(Stock keeping unit) Product id code. Each product must have an SKU, and each SKU must be unique. If SKU is empty, the product CODE is used instead. ASIN—(Amazon Standard Identification Number) 10-character alphanumeric unique identifier assigned by Amazon.com. It’s optional. EAN—(European Article Number) This type of bar code is specific to Europe and Japan, but is widely used internationally. It is a superset of the UPC code: all products marked with an EAN will be accepted in North America. UPC—(Universal Product Code) This type of bar code is widely used in the United States, the United Kingdom, Canada, Australia and in other countries. ISBN—(International Standard Book Number) 13-digit number that uniquely identifies books and book-like products published internationally. 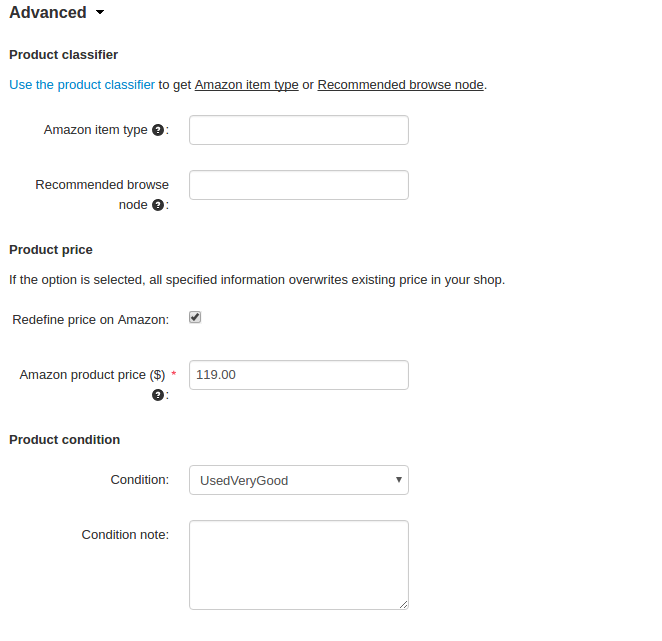 Amazon item type—Pre-defined value that specifies where the product should appear within the Amazon browse structure. Recommended browse node—Value used to classify an item. Mandatory for Canada, Europe, and Japan; not used in the US. Use a comma to separate nodes. Use the product classifier to get these values. Redefine price on Amazon—If selected, the price set in the CS-Cart store will be overwritten. Amazon product price ($)—Price of a product on Amazon. 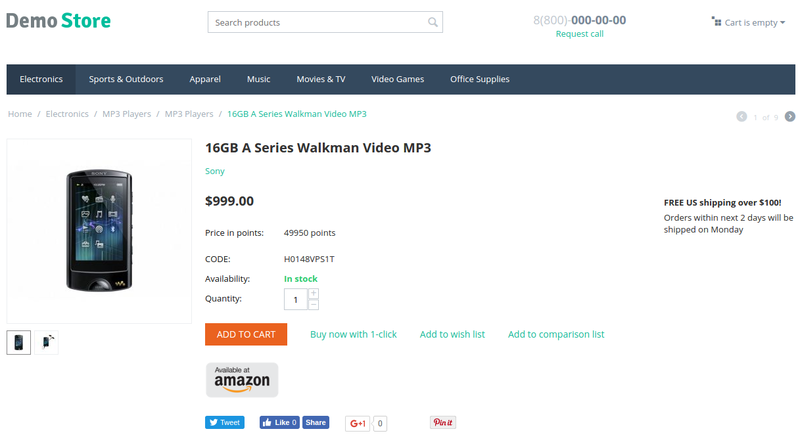 This value will overwrite the price in the CS-Cart store. Product condition—The condition of the product. Select the necessary one from the list. Once you specify the necessary settings, click Save. In the top right corner, click the gear button and select Export to Amazon or Import from Amazon. Once the process is complete, you will see a brief report. To view a detailed report, click on the report link. It will bring you to the Amazon reports page. Decide which of the products you want to export and prepare them for import/export. See the explained settings above. Instead of configuring each product separately, you can select the necessary products, click Edit selected under the gear button. Then, select the checkboxes assosiated with Amazon. On the opened page, enter the necessary values and click Save. Go back to the products list page, click the gear button in the top right and select Export from Amazon or Import to Amazon. Go to Orders > View Amazon orders. Select the store location, period and dates for orders you want to see. Click Search. Select the orders you want to import to your store and under the gear button select Import. You can import orders with Shipped and Unshipped statuses only. Also, make sure you have matched the payment methods. For details, see Setting up the add-on. That’s it. Imported orders will aquire order IDs. Clicking on the order ID will take you to the order editing page. On the list of orders, orders imported from Amazon will have the Amazon Order checkbox selected. © Copyright 2005—2018 Simtech Development Ltd..